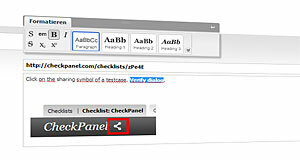 Checkpanel makes it easy to organize checklists that need to be checked frequently. Know when each item was last tested. 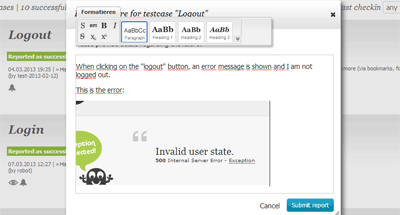 Report failures with details. Set reminders. Collaborate. Filter items by last check and/or state. 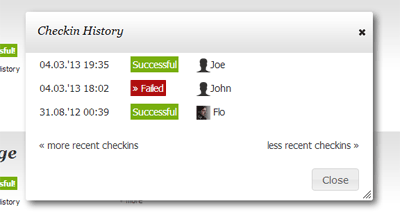 With Checkpanel's checklists, you and any other team member can see for every item when it was last checked. When something breaks or otherwise fails, you can look up when it was last tested and think about what was changed since then. You can also go further back in history and see all past checks, who did them and which failures occured. You can easily spot patterns, for example if something breaks for similar reasons again and again. Usually, you don't just want to know that a check failed, you want to know what happened exactly. 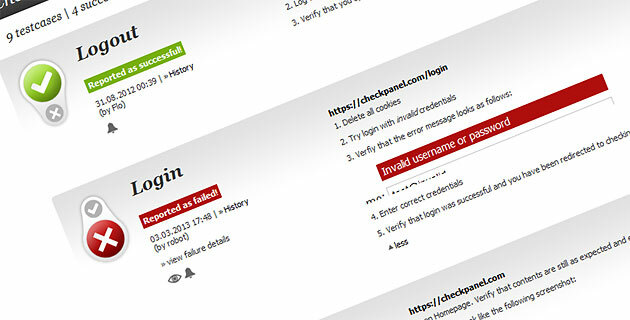 With Checkpanel, users can add detailed information about failed checks. When reporting a failed check you (or the checking team member) can enter as much information as you like. You can format your reports to give them structure and you can paste screen shots. This gives you a better overview about what is wrong right now and also serves as a useful reference for the future. 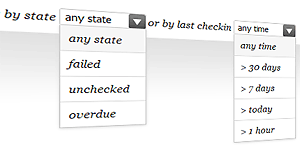 Filter your items depending on the state or the time when it was last checked. For example, only show items that have not yet been checked today. Or show only the items which have been reported as failed. When releasing a new feature, you can simply filter by items which have not been tested today to make sure that nothing gets overlooked. Or just show items which have failed so that you get an easy and quick overview which points need to be addressed next. Some things need to be checked more frequently than others. 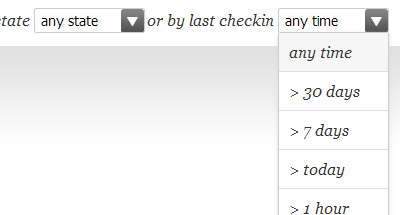 Define for each item, when it should be checked again. You can see at a glance which items are overdue to be checked. Overdue items of all checklists are listed together on a separate tab for quick access. Plenty more features are waiting to make your frequent checks more fun. Read more, or just sign up and give it a try!